Wrapping image quality and flexible manual settings into a light, ergonomic package, the Fujifilm X-Pro1 Mirrorless Digital Camera was released to great reviews in 2012. Just two years later, the X-T1 followed in its footsteps, adding phase-detect autofocus sensors designed for action shots, a highly magnified electronic viewfinder and many other souped-up goodies. Despite the X-T1’s popularity among professionals, the amateur photographers were looking for a slightly more cost-effective offering. So Fujifilm has developed the X-T10, which preserves many of X-T1’s well-liked features while shaving hundreds off the price. It maintains the X-Series image quality and is fast and easy to use. Every good photographer knows the more photos you take, the more likely you are to capture some winners. The X-T10 makes it simple to get more shots with its quick and intelligent autofocus and short lag time. It has been lauded for its autofocus feature because of its speed and ability to detect faces and eyes. Other positive reviews have highlighted the X-T10’s knack for tracking subjects across the frame, enabling you to take sharp pictures of moving subjects. According to Photography Blog, the X-T10’s lag time of 0.005 seconds solves one of the biggest problems of electronic viewfinders, notorious for their sluggish reaction times. An array of features makes the X-T10 easy to use. There’s no need to fish around for your flash because of the built-in pop-up flash. Want to take pics up high or down low? You don’t have to follow your camera to grand heights or get grubby on the ground. Just angle the screen up or down for easy photo composition. And if you want to get creative with manual controls, everything you need is at your fingertips. Change shutter speeds, exposures, autofocus modes and more using the quick-access function buttons. No time for all the manual settings? Flick the switch to the point-and-shoot mode. There are, of course, times when you want to see what your photograph will really look like. That’s where the OLED (Organic Light Emitting Diodes) viewfinder comes in. It trumps an LCD on the colour range, contrast and viewing angles, giving you a better representation of your pictures. You can view the image you’re capturing in three different modes. Check out “full screen” to see the complete image without any icons interfering. Go to “normal” to see the settings and image. And if you want to have your cake and eat it too, turn to dual mode. You’ll get the uninterrupted view on your left and an image with your superimposed settings on the right. Ready to Have Some Fun With Photography? It’s a great time to buy your X-T10 camera and essential lenses (XF18-135mm zoom and the XF27mm wide angle lens). 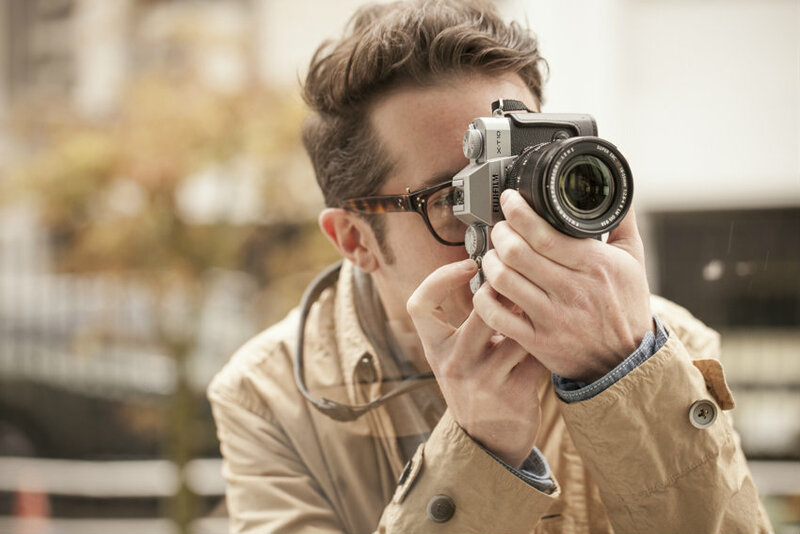 Buy an X-Series camera (X-T1 and X-T10) now and get $100 cash back. Spring in for an XF lens and get $200 back.